U.S. Rep. Ellison, who is also a co-chair of the Democrat Party, is now losing to Republican Doug Wardlow by a full seven points. This is a 12 point reversal for Ellison, who was up five points in this same poll last month. As of now, Wardlow earns 43 percent support, compared to Ellison, who has crash landed at 36 percent. In other words, Ellison barely earns support from one-third of voters. The second scandal is his relationship with Nation of Islam leader Louis Farrakhan, a notorious bigot and anti-Semite. The third is Ellison not being honest about his relationship with Farrakhan, especially his more recent contacts with a man who describes Jews as termites. None of the above, though, would be a factor in the Minnesota attorney general race were it not for New Media. While the establishment media dutifully reports on everything, in the case of a left-wing sacred cow like Ellison, that is as far as it goes. To protect the Democrat, the issue is immediately forgotten. Like most of those in the establishment media, Ellison is a left-wing extremist. He is also running for a crucially important post in what will almost certainly be a crucially important swing state in 2020. Trump nearly won Minnesota in 2016. With Democrats and the media increasingly reliant on the criminalization of politics, a Keith Ellison as the top lawman in a state that could be vital to Trump’s re-election chances is not a small deal. That is why the Democrat Party and the media want Ellison to win, regardless of his baggage. But New Media would not let these scandals go. 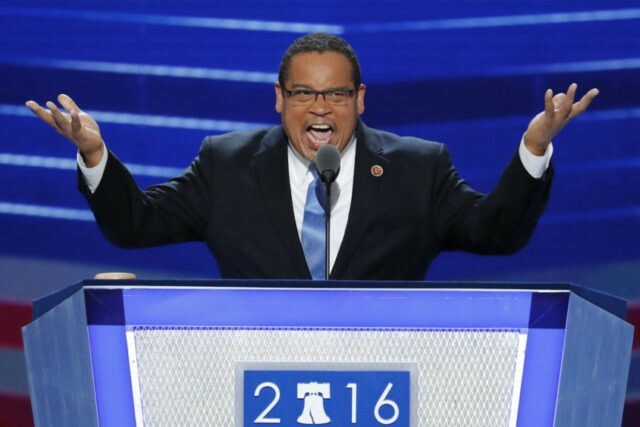 There are too many unanswered questions, and when it came his Farrakhan contacts, Ellison just isn’t being honest. As a Democrat, Ellison was no doubt counting the establishment media to run cover for him, but this is no longer 2008, and the media no longer have the power to cover up the seedy past of a candidate in the same way they were able to cover up Barack Obama’s seedy past and troubling associations — including Obama’s own association with Farrakhan. What’s more, this latest poll does not appear to be an outlier. Ellison’s lead has been steadily slipping over the past 45 days.